A symphony of hammers, saws and chisels pierce the early-morning silence that had blanketed Slavic Village, a neighborhood tucked away on Cleveland’s south side. As daylight creeps in, a team of artists is busily creating a series of art installations that will transform several vacant houses that pockmark the neighborhood. 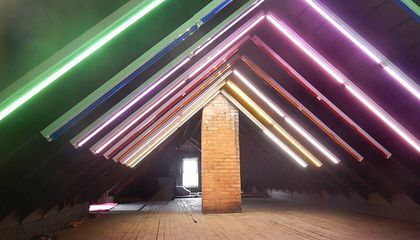 Called Rooms to Let: CLE, the fifth-annual event unites artists and neighbors to achieve one common goal: to help reinvigorate a community that only a few years prior had been struggling to survive. To fully appreciate the scope of such a massive project, one must first understand the history of Slavic Village. For decades, the working-class neighborhood served as home base for the city’s extensive Polish and Czech immigrant populations, but in the late 2000s everything radically changed as the Great Recession swept the nation—and Slavic Village got hit particularly hard. Of the top 500 U.S. zip codes faced with foreclosure filings at the time, CNN Money ranked Slavic Village at the very top of its list. Now, a decade later, the community and city continue to strive towards revitalizing and breathing new life into the streets of Slavic Village. One person in particular who has seen the changes first hand is Chris Alvarado, executive director of Slavic Village Development, a non-profit organization responsible for overseeing the redevelopment of the nearly five-square-mile neighborhood. It’s also the group responsible for making Rooms to Let a reality. 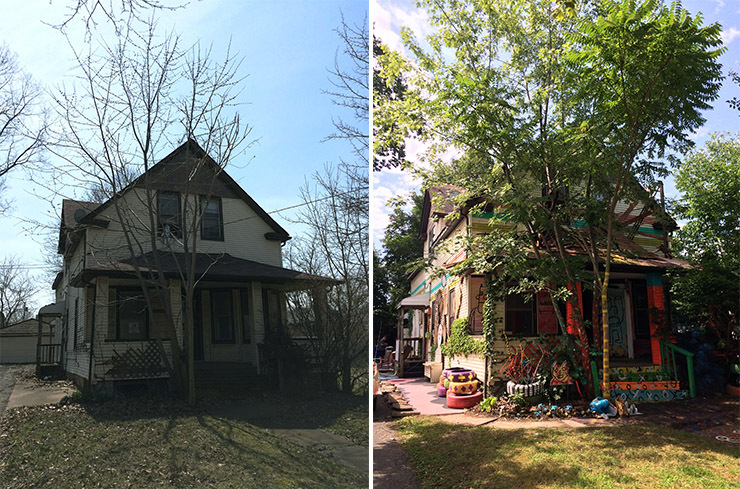 To do this, Rooms to Let curators put a callout earlier this year for artists to come and create temporary works of art inside some of the neighborhood’s vacant homes and overgrown lots. Over the past week, more than 90 artists have come to Slavic Village to create their pieces while also working side by side with residents and volunteers to do home repair and increase curb appeal of occupied houses in the area. Organizers are also working with the Better Block Foundation, a nonprofit that helps to empower and equip communities with the tools and knowledge needed to revitalize neighborhoods, by installing Wikiblocks, computer-cut plywood benches, chairs and planters. And while Alvarado admits that some residents have been hesitant when it comes to change in the neighborhood, overall most have been happy with the contributions of Rooms to Let. One such neighbor who has experienced this as both an artist and Slavic Village resident is Scott Pickering. For the past 20 years, Pickering has called the neighborhood home, first renting and eventually buying a house. 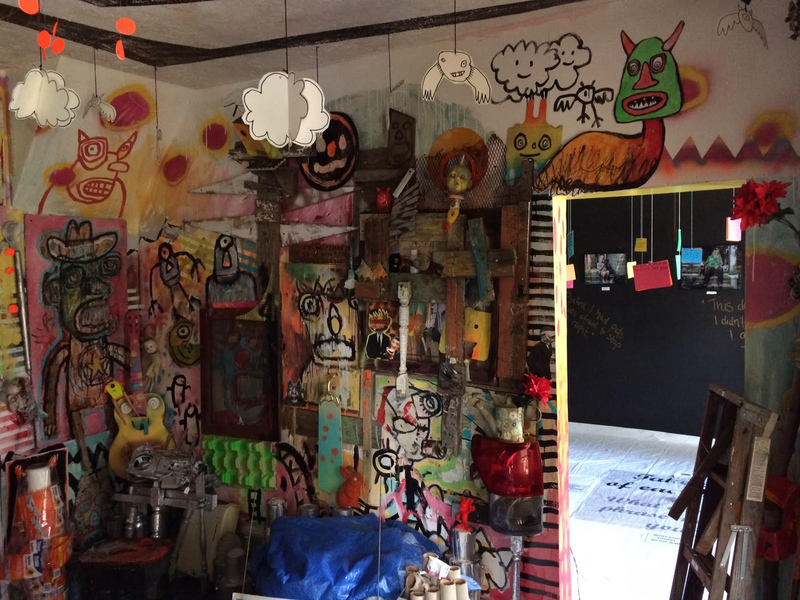 He’s also served as a curator and artist for Rooms to Let since its inception, and says he looks to the neighborhood to inspire and inform his artwork. For this year’s installation, Pickering is working on a solo installation inside what was once a duplex’s kitchen. Called “The Room of Lunacy,” he’s partnered with DayGlo Color Corp., the world’s largest manufacturer of fluorescent pigments that just so happens to be based out of Cleveland, to create a neon wonderland of painted imagery. Rooms to Let will be held July 28 and 29 in Cleveland. In addition to the art installations, live music, interactive art and performance art are also scheduled. She Worked One of the Real Cases Behind “True Detective.” She Says We Still Haven’t Learned Its Lessons.